A few months ago I wrote about billion scoring retro gaming champ Tim McVey. Back then he let me in on a little secret - he was training to break his billion plus score on Nibbler. 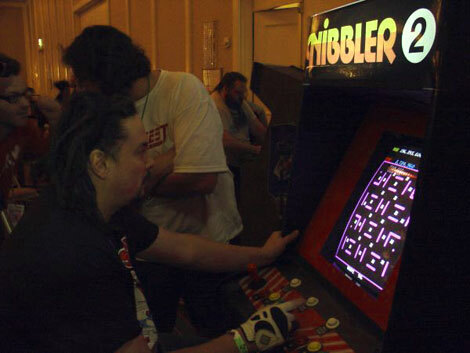 Tim and a contender are attempting to set a new Nibbler record at MAGfest in Washington, DC this weekend. I'm running a webstream of the entire event. Getting up to a billion is expected to take at least 40 hours, so while the competition begins on Friday, it won't be until later in the weekend that we'll see that score broken.